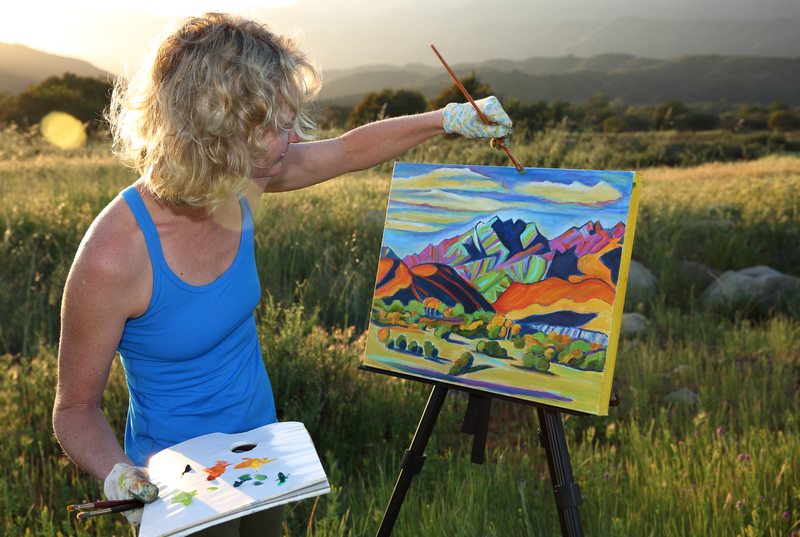 My expressionist landscape paintings are inspired by the nature surrounding Ojai. I like to explore and have developed my own lightweight, highly portable painting backpack for hiking to sites in the Los Padres and Channel Islands. My plein air paintings reflect these adventures in our National Forests and National Parks. It is my hope that my work will inspire others to appreciate nature and promote environmental conservation.